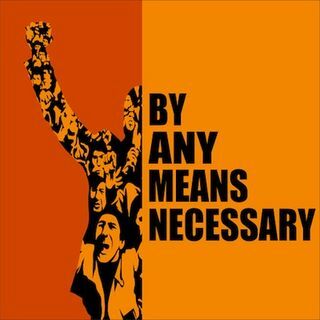 On this episode of "By Any Means Necessary" Eugene Puryear and Sean Blackmon are joined by Meghna Chandra, a member of the 2018 organizing committee of the Year of DuBois to talk about their upcoming event "Blessed are the Peacemakers" which highlights how anti-capitalism and anti-imperialism must be imperative features of a global peace process. In a special second segment Dr. Phil Brenner, Professor of International Relations and Affiliate Professor of History at ... See More American University joins the show to talk about Miguel Díaz-Canel becoming President of Cuba, what this will mean for the country in the future and its relationship to the US. In the third segment "By Any Means Necessary" is joined by writer, filmmaker and theatre director Juliette Carrillo, currently directing August Wilson’s "Two Trains Running" at Arena Stage in Washington, D.C., to talk about Wilson's work, the "jazz" created in the interplay between characters, and how yearning, personhood and pride weave throughout the piece. Later in the show organizer Aurellia Williams joins the show to talk about possible being brought against the cop who choked and killed Eric Garner in 2014, being Black in public, Taylor Swift's cover of September and more.